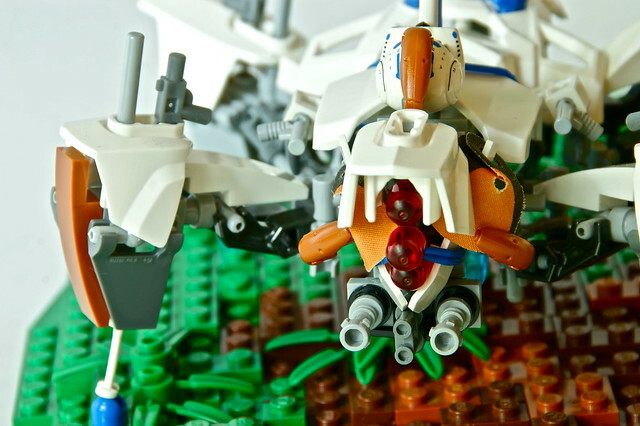 Flickr member Nooroyd brings us his "T.E.F 7 EXPLORER", a creation he built with a friends collection on holiday without any idea of what it actually is. Personally I'd say it's intimidating, not something I'd want to come across any day for sure! He's kept the setting fairly simple and clean, effectively drawing attention to the brilliant... (turtle? they seem to be a craze at the moment), which he has done a superb job on adding a great amount of detail and greebles without going overboard. the small hints of blue and dark orange are very effective, and the combination of common system pieces and bio/HF parts (alright to be honest I'm not sure what they're from, I'm a system conformist) is always something to love. 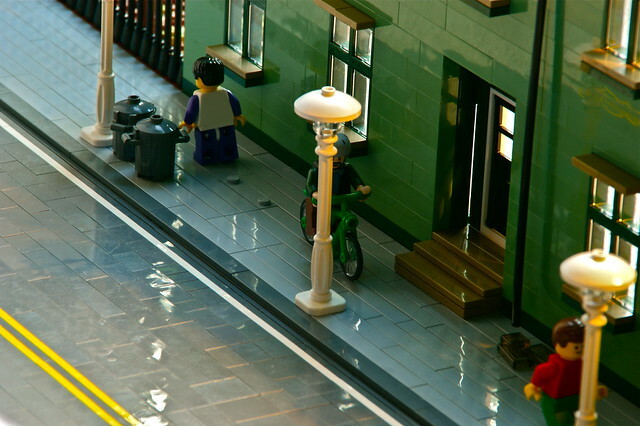 While we're looking at Nooroyd I'd also like to make a note of his previous build appropriately named "Rainy streets", which I think really highlights just how much lighting and an effective angle can really bring a MOC to life. If you havn't already, be sure to check out his photostream here!